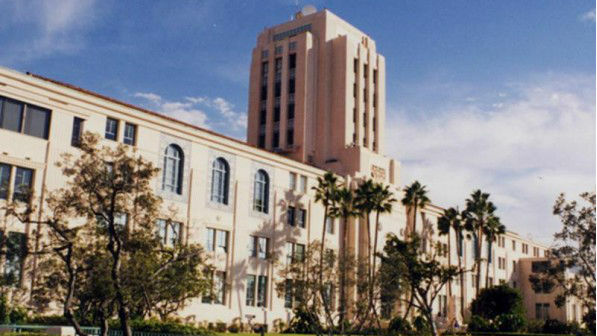 The county of San Diego will resume its “Walk-in Wednesday” marriage program next month, Assessor/Recorder/Clerk Ernest Dronenburg Jr. announced Tuesday. The program will run June 18 through Aug. 27 at the County Administration Center in downtown San Diego, Dronenburg said. Photo credit: San Diego County News Center. He said couples with appointments will continue to receive priority. Appointments will still be required for marriage services at satellite offices in Kearny Mesa, Chula Vista, El Cajon and San Marcos for those who want to obtain a marriage license or have a wedding. Couples can make appointments by calling (619) 237-0502, and should download marriage license applications from the office’s website — www.sdarcc.com — and fill it out in advance, he said. Marriage licenses cost $70 and weddings performed by staff cost $88. Couples can also purchase a photograph, certificate or “Just Married” bumper sticker.